The German Federal Ministry of the Interior intends to withdraw the tolerated stay permits of some failed asylum seekers who make falsified claims about their background. The Federal Ministry of the Interior has drafted a new bill designed to stop a so-called "Duldung" or "tolerated stay" of asylum seekers who disguise their country of origin in a bid to remain in the country. According to the KNA news agency, the bill says "those who prevent their deportation, for example because they deceive the authorities about their identity or nationality or do not cooperate sufficiently in obtaining a passport replacement, may no longer be tolerated in future." The Welt newspaper said that in such cases authorities will order migrants to leave and that such failed asylum seekers would be excluded from integration offers and other future residency permits. There are currently about 230,000 people who have received orders to leave Germany. About three-fourths of those are tolerated cases, which means that they may remain in Germany for the time being. 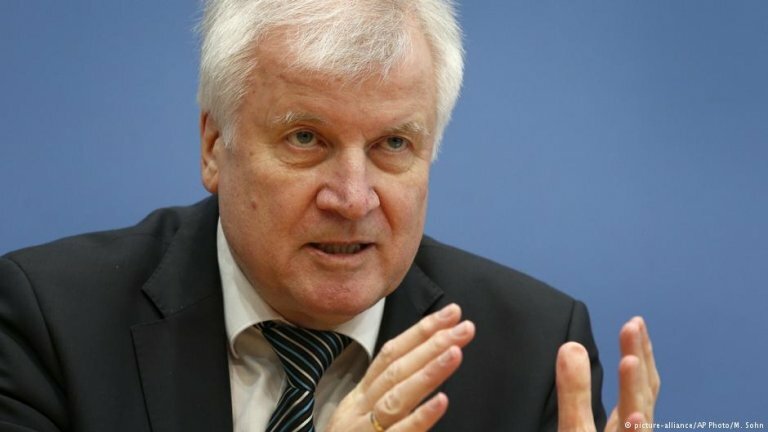 Federal Minister of the Interior Horst Seehofer hopes that the bill will "better enforce the obligation to leave the country" in such cases. The draft bill is intended to do away with false incentives to remain in Germany illegally despite orders to leave the country "by better distinguishing between those who are obliged to leave the country and those who are prevented from leaving the country through no fault of their own, or those who are not able to enforce their obligation to leave the country through no fault of their own." It further states that anyone who does not produce proper papers must expect sanctions. "This possibility of sanction concerns the authorization of gainful employment, the granting of a training permit, the ordering of spatial restrictions and restrictions on entitlement to benefits under the Asylum Seekers Benefits Act." However, the first attempt to increase the number of deportations in Germany backfired. The first "Act to Improve the Enforcement of the Obligation to Exit" did not increase the number of deportations. In 2016, 25,375 people were forcibly deported from Germany, while there were 23,966 deportations in 2017. There are no official numbers from 2018 as of yet, but there is a good chance there will be a further decrease in the number of deportations. In comparison to the number of deportations, the Federal Office for Migration and Refugees (BAMF) rejected 75,395 asylum applications and decided negatively in a further 65,507 cases due to other procedures. Fact check: Who gets deported from Germany?